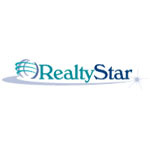 RealtyStar is a knowledgeable and trusted source, for real estate software throughout North America. Real Estate Software specialists since 1994, RealtyStar is the #1 Reseller in North America of AgentOffice Products, consistently, since 2002. RealtyStar saves you time and money, and are respected for providing our clients with valuable and complimentary AFTER SALES assistance not offered elsewhere. When you purchase from RealtyStar you are welcome to use our remote assistance features, and enjoy additional free support, including evenings and weekend, not available elsewhere. RealtyStar Inc. strives to build Client Relationships in much the same way you do, by providing service and making every effort to assist you in achieving your technology needs.